Self-harm incidents at Hindley Prison are in danger of hitting a worrying new high, figures show. It follows a violent trend across England and Wales’s prisons, where deaths, assaults and self-harm incidents were all at record levels over the first nine months of last year. Last week, the Justice Secretary admitted levels of violence and self-harm in prisons are “unacceptably high”, and described numbers showing increases in all the key categories as “disturbing”. 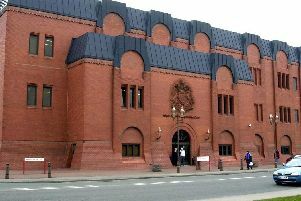 By the end of September 2018, no fewere than 277 self-harm cases had been recorded at Wigan’s jail. In the whole of 2017, there were 233 and if the trend for the last quarter of the year continues, 2018 is likely to be the worst since the first published records, for 2004. Between January and September 2013, there were 60 incidents of self-harm, meaning five times the number were recorded during the same period in 2018. The numbers also reveal that there were 195 assaults in Hindley in the first nine months of 2018, 36 of which were against prison staff. In total, 30 were defined as serious, which include sexual assaults and those where victims required hospital in-patient treatment. Across England and Wales, 325 deaths were recorded in prisons in 2018. They include 92 self-inflicted deaths, up 31 per cent on the previous year. In Hindley, one prisoner died in 2018 – a death which was recorded as natural. Andrew Neilson, campaigns director for the Howard League for Penal Reform, said: “No one should be so desperate while in the care of the state that they decide to take their own life. “It is a national scandal that the number of prisoners losing their lives through suicide has risen again. “Particularly concerning is the growing number of people, including several men in their 20s, who have died in as yet unexplained circumstances. Across prisons in England and Wales, nearly 34,000 assaults were recorded in the year to September 2018, an increase of 20 per cent on the previous 12 months. Self-harm also increased by 23 per cent, with nearly 53,000 cases in the year to September 2018. The Justice Secretary David Gauke said: “Violence and self-harm in our prisons is unacceptably high and these figures underline why we are spending an extra £70m to fight the drugs plaguing prisons and boost security, while also training over 4,000 new prison officers in handling the complex offender population.